The Clear Glass Star Mounted on a Brushed Aluminium Base is a clear glass 5 point star award set on a circular brushed metal base. 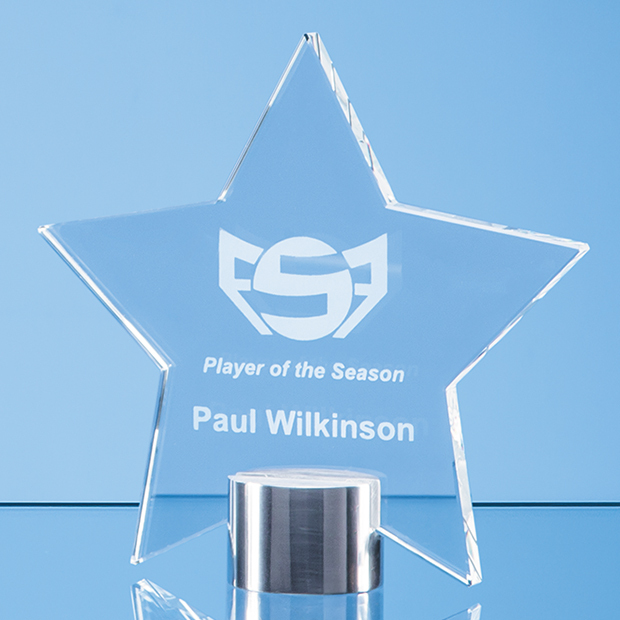 Available in a choice of 2 sizes, this premium star award can be personalised to feature text and logo engraving to meet then needs of your event. Supplied in a free presentation box. The Clear Glass Star Mounted on a Brushed Aluminium Base can be purchased with or without personalised high quality engraving. 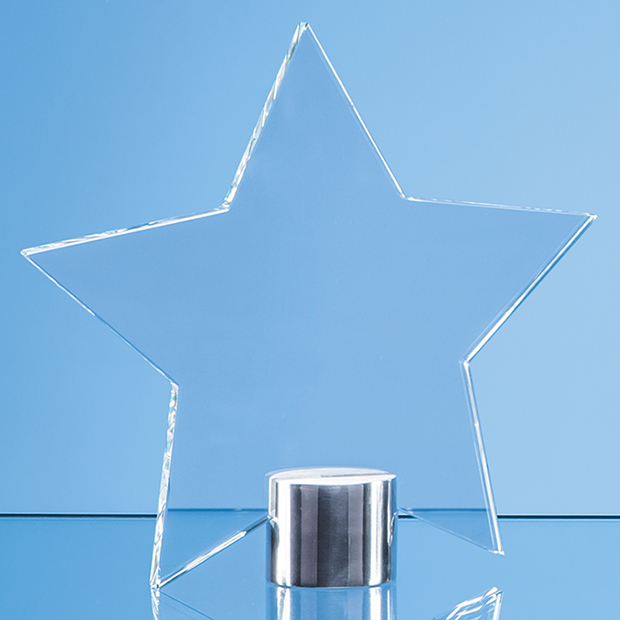 Made from high quality clear glass, the Clear Glass Star Mounted on a Brushed Aluminium Base is a clear glass star shaped award perfect for personalised text and logo engraving. 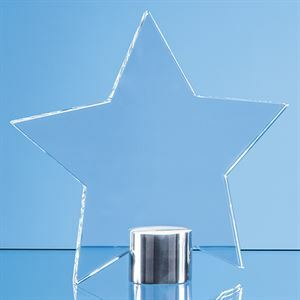 Available in 2 different sizes, this superb star shaped trophy is perfect for any sort of awards or event. The Clear Glass Star Mounted on a Brushed Aluminium Base is supplied in a premium presentation box.